Many homes have high ceilings that often get neglected because the task of getting a tall enough ladder is unappealing. This should not be the case! Homeowners should take pride in the uniqueness of their home and utilize it. 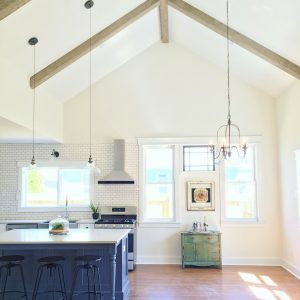 Most commonly, customers who have high ceilings use either photos or art to climb the wall to the ceiling, large fireplaces extended up the wall, light fixture and ceiling medallion combos or beams. 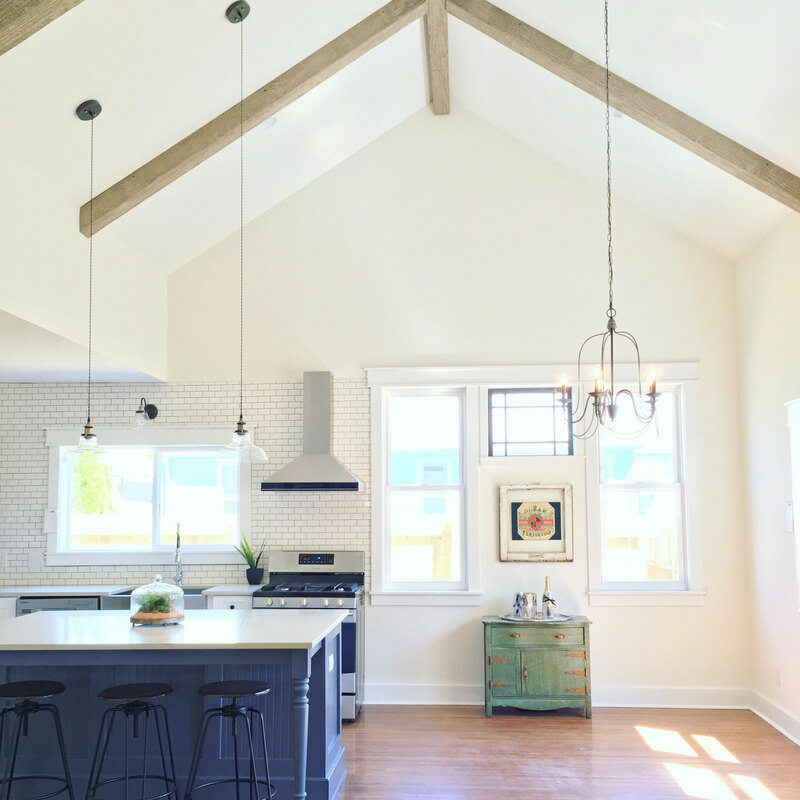 One of our recent customers from California shared their home improvement project with us that featured our Endurathane Faux Wood Beams. Though the customer’s ceiling is not extremely high, it is higher than the normal ceiling height seen in average homes. Before the Endurathane beams were installed, the room looked quite plain. Since their addition, there is more depth to the room. Our Endurathane faux wood ceiling beams are an amazing investment, providing an exquisite look to your home interiors. They are not susceptible to common issues of organic wood such as rot, termites and warping so maintenance is virtually zero. 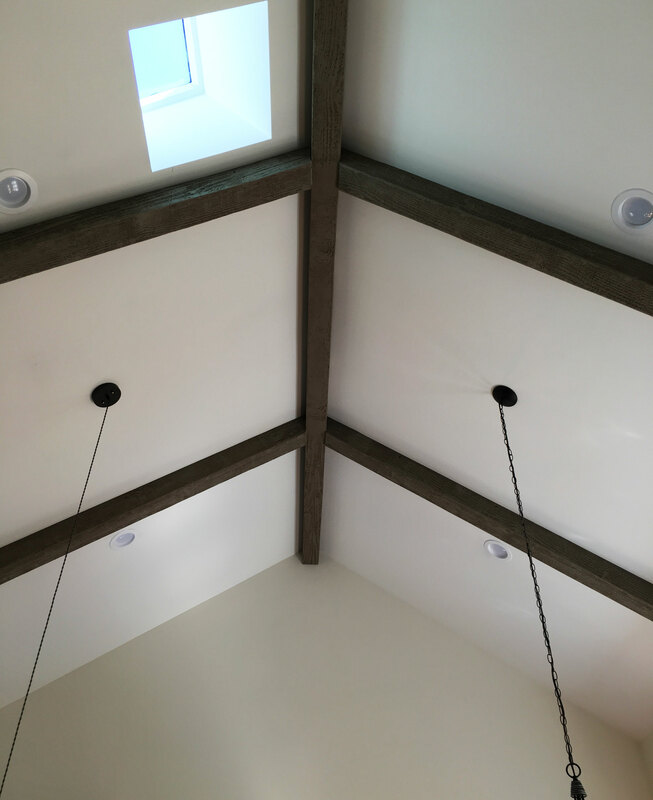 Additionally, these beams are lightweight, so installing them on one’s ceiling is a breeze! Finally, the beams are cost effective in the end. They are 2-3 times more affordable, all the while having beams that are indistinguishable from real wood. If you are considering purchasing your own faux wood beam, check out the full collection via the link below!